I’ve said it once and I’ll say it again, I LOVE SUMMER! The weather, the energy, the long days and crazy nights! 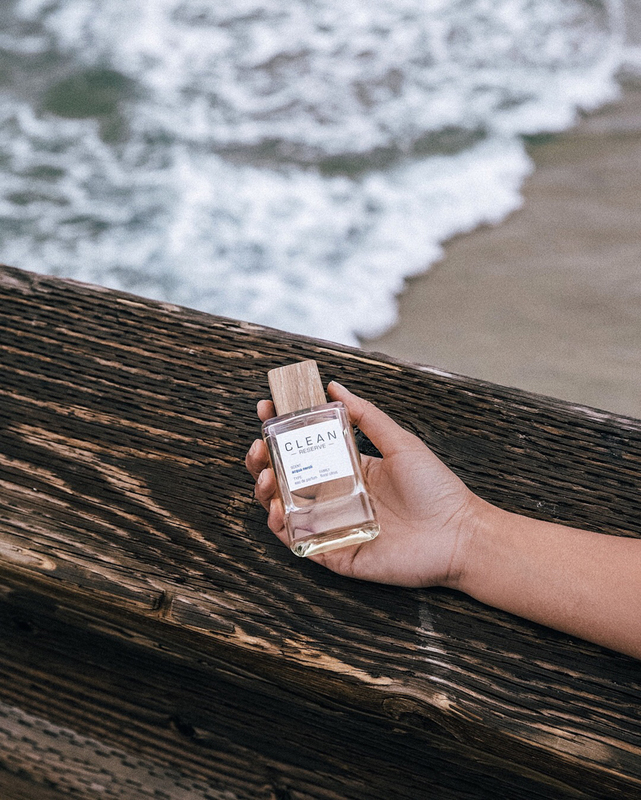 In honor of my favorite season, I’ve teamed up with Sephora to talk about their newest Clean Reserve scent ‘Acqua Neroli’ and how it reminds me of my favorite summer moments. This scent really does capture the essence of the season: it’s bright with floral citrus notes along with my other favorite scent of jasmine. Are you longing for the beach yet?! I have so many amazing memories from around this time of year. But funnily enough, one that sticks out in my mind would be from high school! When the school year would be drawing closer to the end, and the weather was gorgeous, my girlfriends and I would sometimes ditch our last class and drive over to beach. Since it was always spontaneous we would literally be sitting on the beach in our school uniforms! Haha, oh memories. What is one of your favorite summer memories? I would love to know in the comments below! I love this all white look! Hi, i believe that i observed you visited my web. website so i came to go back the want?. I'm attempting to in discovering things to boost my. site!I assume its ok to make use of a few of your ideas !! kolkatamodelgirls Every single one of them has been handpicked after a to an incredible degree veritable and hard to-pass verification criteria in which only a couple can look at fittingly. your website layout is good for users and your writing skills is very . Good to know that today also there are people who really have a passion for writing a blog like you! This is super informative dear. Great information you have here. Thanks for sharing!